Spooky 1300 Followers Giveaway! Win 6 Spooky Books! To celebrate my blog reaching over 1300 followers, my 2 year blogoversary, AND Halloween, I'm giving away 6 spooky ARCs to one lucky blog follower!! Giveaway will run until November 1st! Add the contest button to your sidebar for five extra entries!! One winner wins all 6 books! Happy blogoversary and congrats on the following! Congrats on 2 years! And thanks for the great giveaway and chance to win! Happy 2 year blogoversary and congrats on reaching 1300 followers. I can't imagine blogging for 2 years. You've put in so much work. I'm inspired. Thank you for the giveaway. These are all books I want to read. I'm a GFC follower as sablelexi. Congrats on all the followers and the Blogoversery! Congratulations on your blogoversary and having so many followers. I'm so putting this button in my sidebar is cute!! Congrats on reaching 1300 followers, that's awesome. Happy blogoversary and Happy Halloween too. ooh fun! Happy blogoversary and congrats on your followers! Congrats on reaching 1300 followers. That's awesome! I'm one of your 1300 adoring followers. :-) Congrats and thanks for the giveaway! Congratulations!! Thanks for the awesome giveaway. Congrats Carrie, and thanks for the spooktacular giveaway.I would really love to read these books! I am a GFC follower and also posted the giveaway button in my sidebar. Wow! Great giveaway. I haven't read any of these yet! I would LOVE to win these! Congratulations and thanks for celebrating with this fabulous giveaway! Thanks for the giveaway! congrats on the 1300+ followers! Wow! So many followers! Happy blogoversary! I'm a follower! Awesome book choices, most of these are on my wishlist! Awesome that you've reached so many followers and 2 years! Holy cow that is impressive!! What a fun giveaway! I'm glad I found this blog. Wow, congrats on reaching such a milestone! Happy Two years!!! Thanks for the awesome giveaway! Thanks for the giveaway! Your cute little button is on my blog on the right hand side. My GFC name is duchess_mommy and my e-mail is duchess_mommy@yahoo.com. Thanks again and congrats on the followers! Thanks for the giveaway and congrats on the followers! Everyone's so excited about this giveaway because the prizes are awesome! Congratulations on all those followers. Congrats on the blogoversary and 1300 followers! That's incredible! Congrats on so many followers and your 2 year blogoversary! Thanks for the giveaway. You go girl! Thanks for the giveaway. Added the button to my sidebar. Congrats on your success! It's truly an achievement! These are some great ARC's! And congrats on over 1300!! I put the contest button on my blog: http://nicoleyalover.blogspot.com/ and I'm a new follower. Very awesome giveaway! Congrats on 1300+ followers. Congrats to you and thank you so much what a great giveaway! Thanks for the chance! Congrats! Thank you for this giveaway! Wow Carrie! That's HUGE!! Congrats! I took your button and posted it on my sidebar. Might have to change that number!! Thanks so much for this giveaway, and congratulations! I'd love to enter! Awesome giveaway! Congrats on the anniversary! This is an awesome giveaway! Wow thank you! 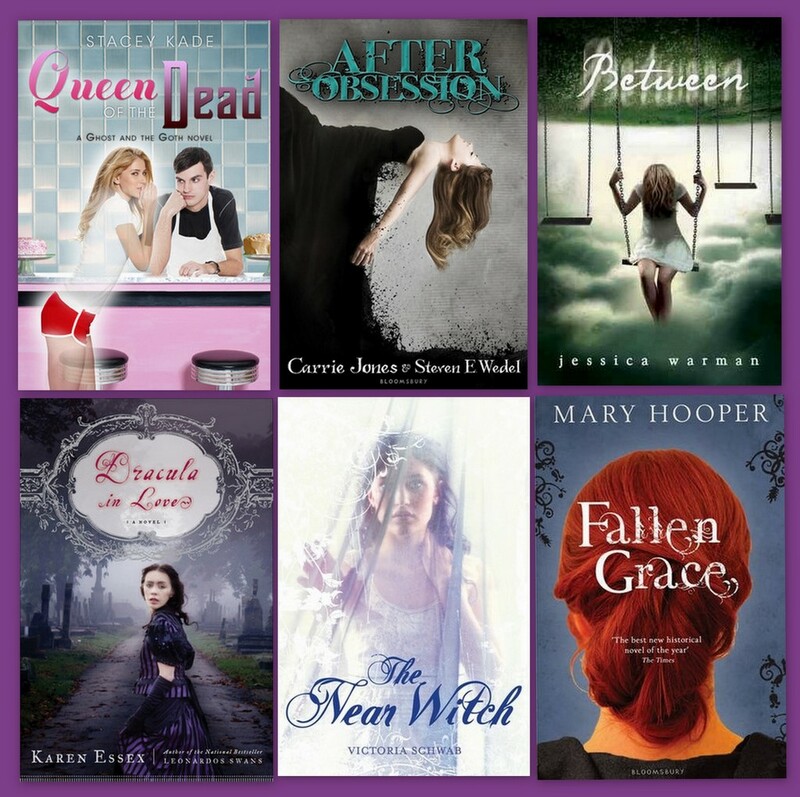 Oooh I so want to win these, I have been coveting all of these books! Happy blog anniversary and thanks for the giveaway! Thanks for the awesome giveaway! Congrats on so many followers. Thanks for the giveaway! Congrats on the followers. I am now following -- mcmh@cox.net Thanks for the giveaway! Congrats on your awesome milestone! And thanks for the awesome giveaway! Congrats on such splendid achievements!!! and congrats on all these followers! Great Giveaway Halloween is the best!! Love Karen Essex!! Congrats on the followers! Thanks for the giveaway! Congrats on the 1300 followers! Thanks for the opportunity to win such fantastic books. Thanks for the giveaway and congrats on all the followers! Over 1500 woo hoo, congrats on the followers! Thanks so much for the giveaway. Thanks for the opportunity to win this fabulous giveaway! GFC Krystal Larson edysicecreamlover18@gmailDOTcom Thank you for the awesome giveaway! Congrats on the blogiversary and for sharing it with us with giveaways. I'm new to your bolg, found it through the blog hop. Love the books that are in this giveaway thanks for the chance to win! Great Giveaway! Congrats on 1518 Followers! That's awesome! What an awesome giveaway!!!!! WOOHOO!! Wow.........just wow. I've never seen a blog with so many followers. Wow. Congrats and Happpy Halloween.